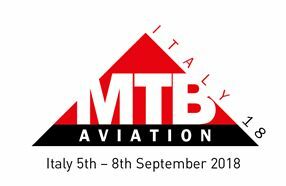 Running from 5th - 8th September at Grand Hotel in Baveno, overlooking Lake Maggiore, this is an opportunity for decision-makers and buyers from the worldwide airline community to hold a series of scheduled meetings with supplier companies from all areas of the aviation industry. More than 50 global, regional, low cost and emerging airlines as well as MROs from across Europe, Middle East, Africa and Asia will be in attendance, making this an important platform for SPECTO Aerospace to promote its extensive experience with repair, overhaul, painting and lifespan extension capabilities for a huge range of structural composite and sheet-metal components with high-end applications. SPECTO is specialist in repair of Rotor Blades, Flight Control Surfaces, Nacelles and Radomes, RF microwave testing included. SPECTO – The Composite Repair Experts. For more details, please contact Maarten T.A. Peters, office telephone at +31 854 883 677 or alternatively by e-mail (sales@spectoaerospace.com).